One of the items we've purchased lately is the Tumble 'N Glow Froggio. 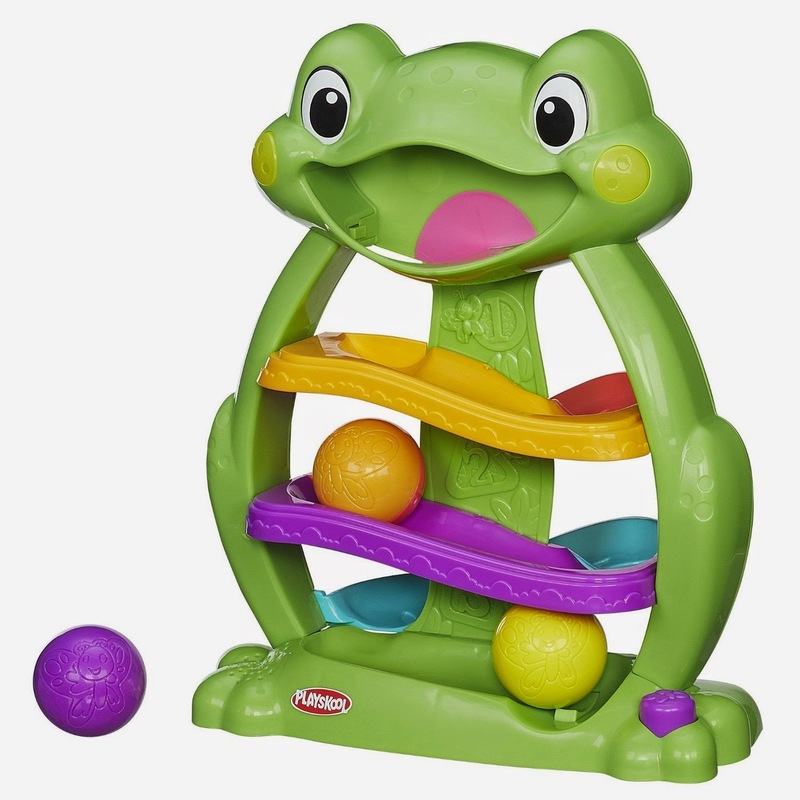 Our Roll 'N Swirl Ball Ramp has been so popular that we'd thought we'd get this little guy to help fill the demand for this type of motor skill toy. Come in to PERC today to check him out, or put him on hold by logging in to our online catalog. Here's a sneak peek at more of the fun items we got for Christmas! 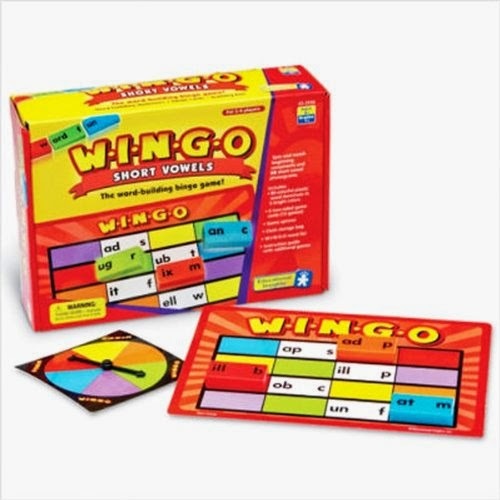 WINGO combines word-building, bingo, and dominoes to make a game that's a fun way for kids to learn language. 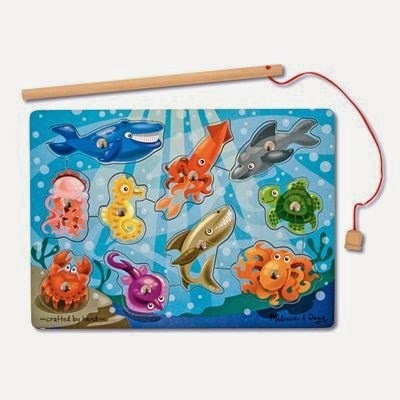 This fishing game gives little kids a colorful way to practice motor skills and learn about underwater life. 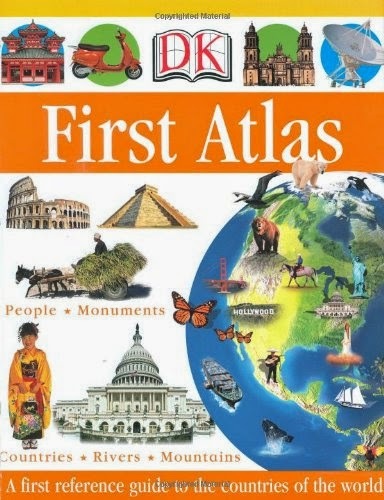 The First Atlas is a wonderful addition to our DK series. Lots of pictures and information about peoples and cultures makes this book interesting to kids and parents alike. All these things are available for checkout. Make sure to come in soon and see us! Thanks to a generous donor, we have some new items from our wish list to share with our patrons! 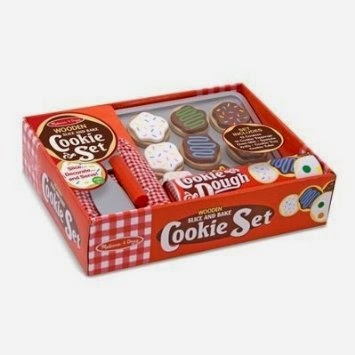 This Melissa & Doug Cookie Set has twelve cookies with frosting and oven tools. It helps teach basic shape and color recognition and beginning math skills through creative pretend play. 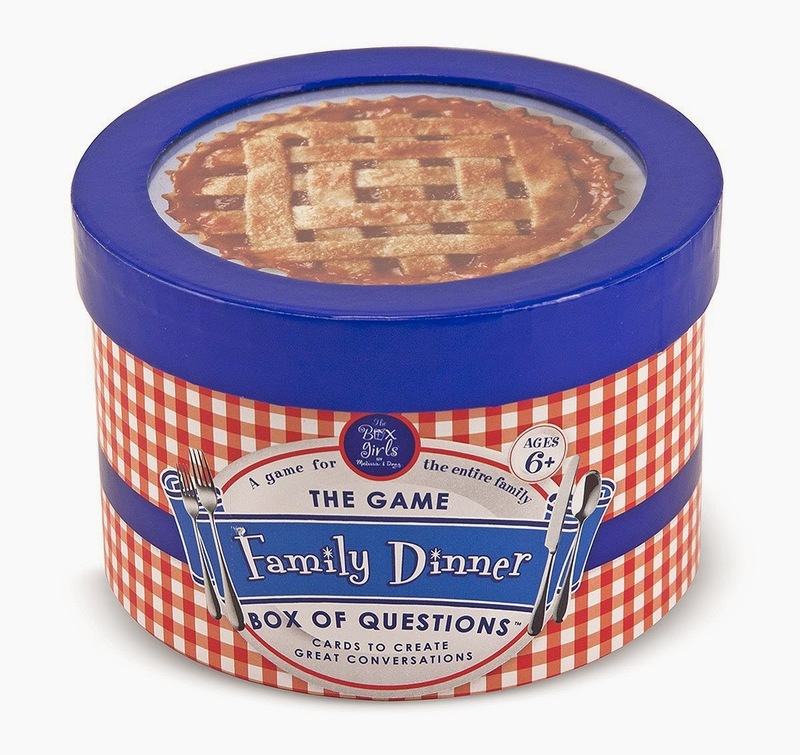 The Family Dinner Box of Questions has 75 cards designed to promote conversation at mealtime. 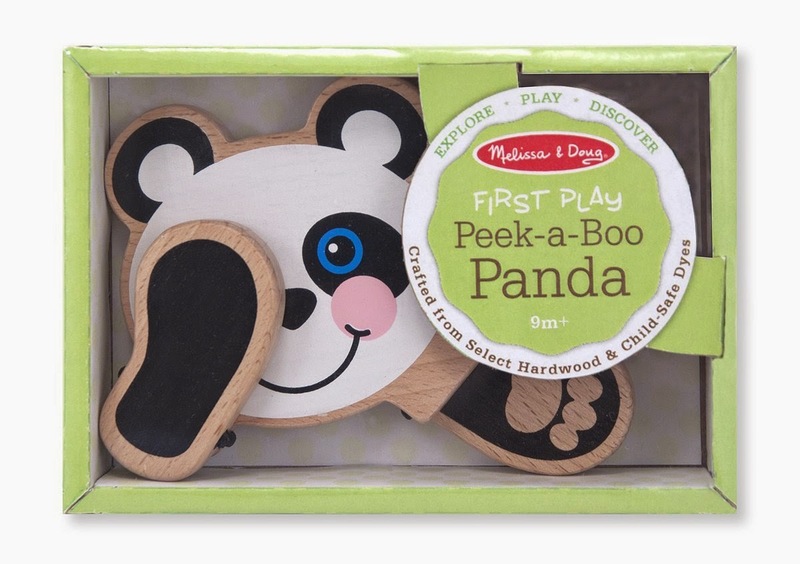 The Peek-a-Boo Panda encourages babies to experiment with interactive play. The panda has arms that click into place in front of its eyes.